Dr. Paul Hul was born in Antwerp, Belgium. His original ambition was to become a veterinarian in African safari, but in 1986, he had the opportunity to move to Canada and started a Belgian Waffle shop. 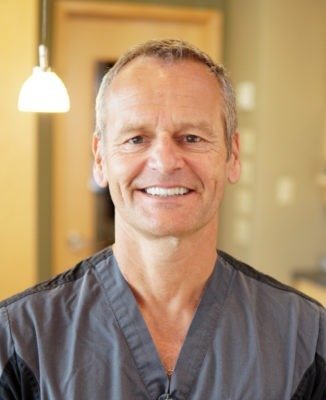 In 1990, he went back to university and graduated in 1996 from The University of Alberta with a degree of doctor of dental surgery. He is a member of the Canadian Dental Association, Alberta Dental Association, and Calgary District Dental Society. Dr. Hul has been married to his wife, Veronique since 1992 and has three children; Dominic, Natasha, and Isabella. Paul and his family are avid athletes, enjoying triathlons, sailing, windsurfing, mountain biking, back country and downhill ski, snowshoe. Call us at (403) 283-7829 to book your New Patient Consultation with Dr. Paul Hul today!